Osama bin Laden’s legacy lives on with every traveler being herded through body scanners, with every illegal search in our 120-mile-radius Constitution-free zones, and with every warrantless wiretap. Until his legacy dies, he lives on, as strong as ever. … Can I at least bring a tube of toothpaste with me when I travel now? The land of the free. As I read more and more of those stories I can’t help but wonder at how things changed. I am from a formerly-eastern-europe-soviet-bloc country (Poland) and these kinds of oppressive techniques sound very familiar. The haziness of procedures, lack of basic rights, intimidation, no accountability of state officials — we’ve seen all that until 1989. At the time, while the communist regime was imposed on us, the USA seemed like heaven: transparency, procedures, basic rights, free speech, accountable officials. Look at where we are today. I can’t even imagine being held captive without arrest for hours, being questioned about the purpose of my trip, about my religion and habits, all while travelling within my country. When entering the country, the passport clerk has exactly two options: let me in, or call the police and get me arrested on the spot. I feel free and I am happy to live in a free country, together with people who because of the past oppressive Soviet regime are quite sensitive to abuses of power. At the same time, the U.S. is rapidly degenerating into something that isn’t quite the sinister oppressive regime, but getting close to the point where it could become one, if a wrong leader gets elected. It’s scary. And the worst thing is — American people got so used to the idea of living in a free country, that they do not even admit the thought that things are going the wrong way. Most people don’t see the signs. 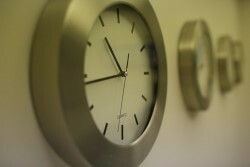 Jet lag makes the workweek after returning really tough! I wonder why we don’t suffer more from jet lag when we go versus when we return? There’s something special about San Diego. The history, hills, culture, and location work together to create a unique place to call home. When you spread the word about your company, you want someone who understands your business, marketplace, and, most importantly, your home. Keep reading to learn what to look for in a San Diego SEO company. SEO, or search engine optimization, is one of those acronyms you hear a lot in discussions about online marketing. But what exactly is it? SEO helps move your website up in search result queries on sites like Google. Most searchers only click on the first few listings, so if your website is buried on the second or third page, your customers will have a hard time finding you. SEO brings your target audience to you. I don’t have to explain how valuable increased traffic to your site is. More eyeballs means more opportunity for conversion. When you’re looking for a San Diego SEO company, the first thing you’ll want to look for is a company with experience. Ask to see a portfolio of work they’ve done with other clients. Do you like the website design? Do you like the copy? Do you like the branding they’ve helped other businesses create? Before deciding on a SEO company, make sure they have the experience and know how to get you where you want to go. Likewise, choose a SEO company that has great references from their previous and current clients. Chances are, if others are happy with their work, you will be, too. A great San Diego SEO company isn’t just about better search result rankings, it’s also about two way communication. Choose a company that asks questions, that listens to your goals and objectives, and keeps you informed of their plans and proposals. Understanding is the key to success. A great SEO company will work with you to create a cohesive brand and a narrative about your company. By working together, your SEO can help you achieve your objectives. Ultimately, what you’re looking for in a San Diego SEO company is a partner. You want to find a company that takes the time to understand your business, its marketplace, and its growth goals. A partner will create and implement an individualized SEO campaign for your business. But it shouldn’t end there. A partner will continue to measure, tweak, and optimize your SEO campaign to ensure maximum efficiency and market reach. At Coalition Technologies, we have years of experience helping clients increase their SEO rankings and retain their customers.We’ll take the time to listen to your goals, objectives, and values. Together, we’ll create a viable online presence to help you take your business to the next level. I have been spending tons of time lately learning more about programming and frameworks and economics and listening to Ted talks. The more I do it, the more fun it gets! I certainly blog a lot less now. I care about my business far more than politics… Not much I can do there anyways at this point. I am supposed to be a leader to fifty plus team members. I am constantly under scrutiny and if I don’t provide a good example, things fall apart. I don’t have as many silly immature opinions or ideas. I don’t want to give ammo to all of the people trying to steal what’s been built. There was a time when you didn’t need much from your company’s website. Some contact information, a few images, and maybe an “about us” was all you needed. That just won’t cut it anymore. Modern consumers have much higher expectations for your website. They expect a site that conveys your brand, answers questions, can be interacted with, and is mobile friendly. For the best San Diego website design, you need to work with a company that understands your business and will help you drive traffic to your site. The only way to understand someone is to listen. 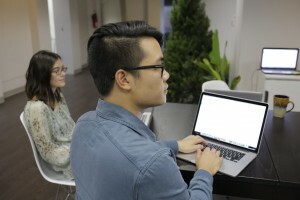 When you’re looking for a web design company to partner with, you want someone who will take the time to listen to you and understand your website’s goals. Every company is unique and therefore has a unique set of values, goals, and objectives for their online presence. Choose a design firm that truly takes the time to listen and understand your company. 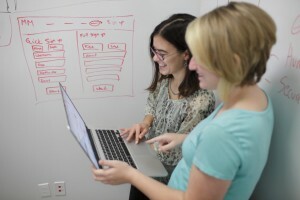 Great San Diego website design comes from a place of understanding. Website design transmits a story; the narrative of your company. Finding a design company for your website also means finding a partner that will work with you to create a cohesive brand and the story behind it. Your brand is the unifying language of your company. A website design firm transmits that story via web and social media to your target audience. 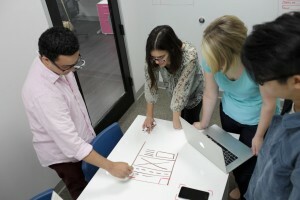 Designing a website isn’t just about layout, font, and aesthetics, it’s also about marketing. That doesn’t just mean advertisement. Marketing your brand means sharing your story. Social media allows you to start a conversation, to build a relationship with your customers. Great San Diego website design will help you share your brand with your audience and connect with your customers on a deeper level than traditional marketing allows. In order for a design company to understand your business, they must also understand your market. Knowing your clients, their community, and your competition will help you improve your visibility and marketability. A great design firm will research keywords, study market trends, and analyze competitors to help you best reach your target audience and share your brand. 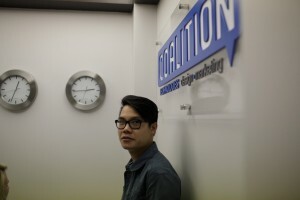 My passion for great web design, brand articulation, and social media led me to start Coalition Technologies. We focus on our clients, so they can focus on theirs. Our dedicated staff takes the time to truly listen to our clients goals, values, and objectives in order to create an individualized digital campaign for them. Together, we’ll create a brand that exemplifies your company. 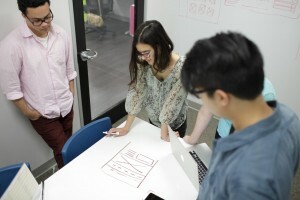 We’ll create a uniquely designed website that transmits your narrative. We’ll help you design a website that drives traffic and informs your customers through carefully designed user experiences. What are you waiting for? For the best San Diego website design, contact Coalition Technologies today. Your company’s website is probably the most important aspect of your online presence. The design of your site, and the experience users have while visiting it, can significantly impact the success of your business. The most effective website design in San Diego will create a site that is easy to use, utilizes in depth research, and helps create conversions. As the founder of a leading design and marketing company, I bring my expertise to work for you. If you want to create an elegant, easy to use website for your San Diego company, contact me today. Your website should be user friendly. That means a few things. Namely, it should be pleasant to look at. We’ve all visited the wrong sites before. They’re a jumble of ads, text, contrasting colors, and mismatched fonts. Before you can even begin take in information about the business, you usually move on to a different site. Your website should offer minimal visual intrusions and should guide your visitor to the information they are seeking. The design of your site should reflect your business. The most pertinent information should be clearly visible and accessible. Keep messaging concise. Finally, make sure that your site looks good on desktops, tablets, and mobile devices. Great website design isn’t just about aesthetic value, it’s about creating a brand and spreading the word. Website design for San Diego businesses should include research about what trends influence the community and what keywords your audience uses. Your design firm should conduct research in order to gain data about your business, competition, and clients. Knowing your goals and objectives will help you create a cohesive narrative for your brand. Your brand should permeate your entire digital campaign, from your website to your social media campaign to your logo. Great branding comes from detailed research. A great design firm will work with you to create a viable brand for your company. Ultimately, the goal of website design in San Diego is conversions. That doesn’t necessarily mean sales. Depending on your objectives, a conversion can be a sale, signing up for an email list, completing a review or survey, or downloading an app. Elegant, minimal design paired with thorough research will improve user experience and help lead to a more successful conversion rate. 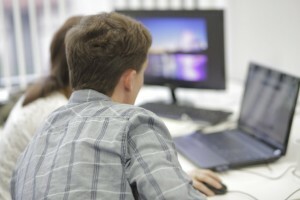 Choose a website design firm that measures user patterns and optimizes your site for success. 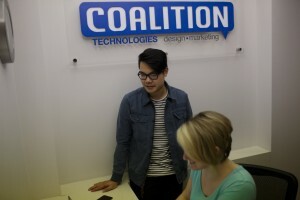 I started Coalition Technologies to help local companies get the most from website design. I believe that great design can strengthen and grow your business. At Coalition Technologies, we take the time to understand your business and objectives. We will design an elegant, easy to use website around your goals and company narrative. We’ll help you identify your competition and your audience. Finally, our website design for San Diego businesses will help your company achieve its conversion goals. Contact us today to begin discussing your company’s objectives, your brand, and how you see your business growing. Marketing your business on the web is a must these days. Modern customers search out information about businesses online. But how do you make your presence known when there are so many other San Diego businesses vying for the same customers? These three San Diego internet marketing tips can help you cut through the clutter and reach your audience. The first tip for San Diego internet marketing is to know to whom you are marketing. This may seem obvious, but not every business considers their target audience before they begin online marketing. Define your target audience. Who is most interested in your product or service? How can you reach them most effectively? What do they care about? 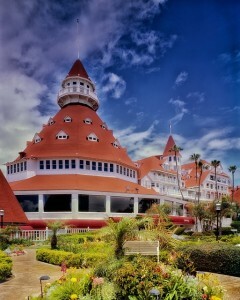 San Diego has a rich culture and a diverse population. Marketing to your target audience means understanding their daily lives and how to best reach them and inform them about your services. Perhaps the most effective marketing strategy for your business is the use of social media. That’s because it allows you to reach your target audience. If you don’t use social media to market your brand, now is the time to start. Create a Facebook page for your business, use Instagram and Twitter to share images of your brand and connect with your customers. Effective San Diego internet marketing begins with the image you create of your business and share via social media. Social media allows you to control your brand. You can create and share relevant content about your business and interact with customers through comments and likes. Most importantly, you can create lasting relationships with your customers and drive more traffic to your website. One of the best aspects of internet marketing is its fluidity. Traditional billboards, commercial spots, or print ads remain the same once you purchase and implement them. Internet marketing however, is all about tracking, tweaking, and perfecting. Your San Diego internet marketing campaign should include optimization. That means search engine optimization and ensuring that the energy and time you spend on your website and social media platform gets results. In other words, choose a marketing firm that will continue to work on promoting your business long after the initial consultation. Keyword research isn’t a one time occurrence. Likewise, your SEO and social media campaign should remain fluid. One last bonus tip: work with a professional with a proven track record. To ensure you get the most out of your San Diego internet marketing, work with a company that specializes in helping local businesses increase their online presence. I started Coalition Technologies for this very reason. We’ll work with you to create the perfect internet marketing campaign for your business. We can help you understand your market; we will work with you to create a social media platform tailor-made for your business; and we will optimize your search engine results and the efficacy of your website. Contact us today to learn more about what we can do for you.